Let's talk about wedding day hair for a hot second. I'm having my hair + makeup trial done for my wedding and I just cannot decide on a style. Should I pull my hair (bangs included) all the way up into a chic top knot or keep the side sweep going and do a sleek chignon? I've been rockin the side swept bang since college and I can't imagine not having it on my wedding day. I'm so torn between the two styles. Both are elegant and sophisticated, but which is best for the big day? Do I go with something completely new and own the top knot or pick the chignon and wear the bangs down as I would any other day? My biggest fear. The greasy, over-sprayed, over-styled bang. On my wedding day, I would die. Bangs + chignon or top knot? I vote bangs and chignon, but both are lovely. The Michelle Williams look is what I would go for...romantic & gorgeous. Keep the bangs! 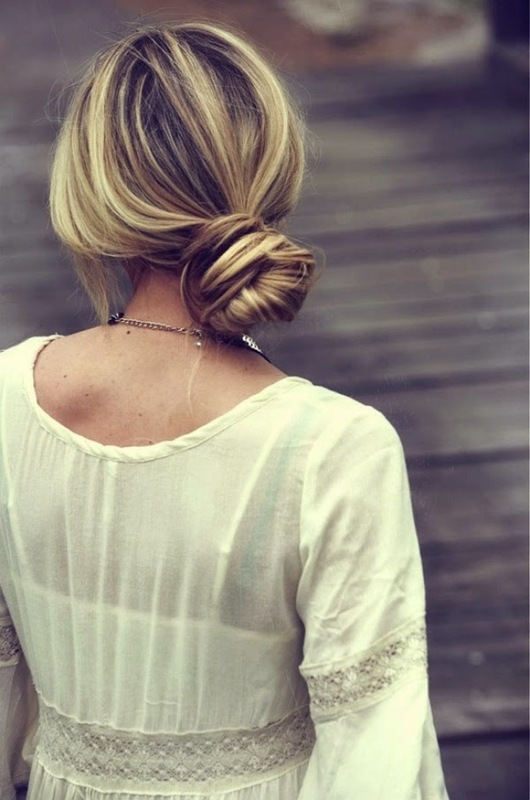 Chignon. It's so you. Becky! 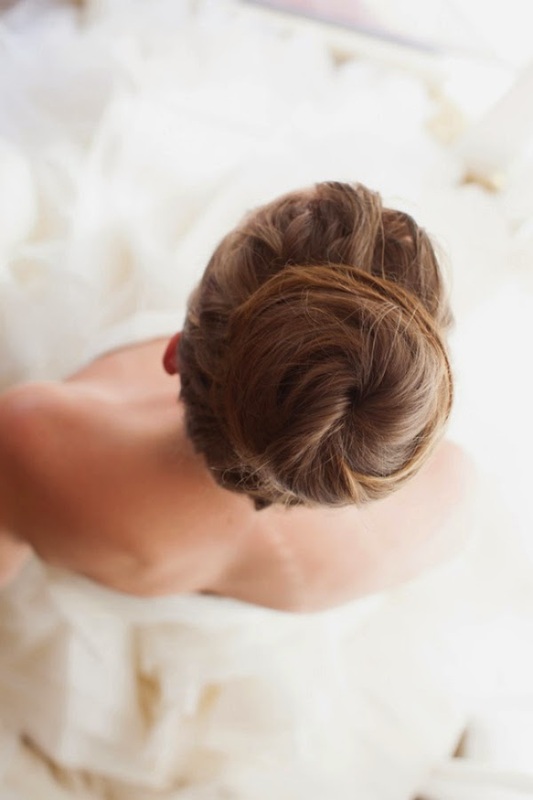 I have the perfect compromise... Chignon for the wedding (duh) and the top bun for the rehearsal dinner!! That way you can rock both looks!! A friend did this and she looked amaz for both events!